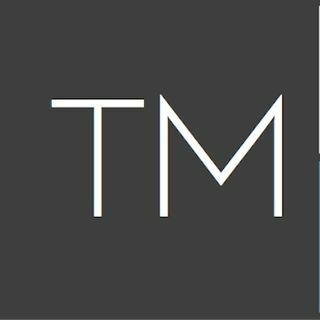 Thurow Media is a company that brings brand awareness through the multitude of social media platforms, audio/voice, and video. 9th Man Nation is a media outlet which covers the Arena Football League (AFL). Eric Thurow, creator and Inside the Nation Show Host is bringing a personal touch to the Arena Football League fan experience, conversation, and news. He is here to have conversations regarding the AFL to help promote the game loved by millions, Arena ... Más informaciones Football. Topics of conversation will include fan experiences, AFL news, individual team news, and general conversations discussing the Arena Football League. Welcome to the new Simply Eric Podcasts Show, hosted by CEO of Thurow Media and Thurow Financial and YouTuber Eric Thurow. On this particular podcast, you will find a mix of episodes on marketing, business, social media, and finances. Plus I will be hosting interviews, thoughts, and chats with other entrepreneurs. Simply Made Cocktails, sometimes also referred to as SMC, is a YouTube based video show exploring the world of the variety of spirits and cocktails. The cocktails covered range from classic American pre-prohibition to the modern day craft. Simply Made Cocktails also researches and informs on the education of the history of the spirits ... Más informaciones and cocktail industry. On the show, we review individual brands of spirits, liqueurs/cordials, and other products that go into making a great tasting cocktail. As far as being a bartender, no we are not. For specific details on any certifications, read the individual bios below. Many of our reviews are done with samples sent from PR firms, distributors, brands and/or brand ambassadors. When this is the case, we make it known on our video show, both in video format and in the description/posting of the video on our video page of our YouTube channel, our web site posting for that particular video, and finally via any social media posting we make on the topic. We are regular people who are transparent to the viewers in regards to our unbiased thoughts of any particular brand. We do inform the brands of just this as well. Thurow Financial is about real life financial organization and how it revolves around your daily lifestyle. Eric Thurow teaches you how to organize, manage, and budget your money, get out of debt, build wealth, and live in financial freedom and prosperity. Managing your money and being debt free will reduce your stress on life, improve ... Más informaciones your personal relationships, and provide security for retirement.